Used Besson Brevette Db/C/Bb/A trumpet in silver plate. 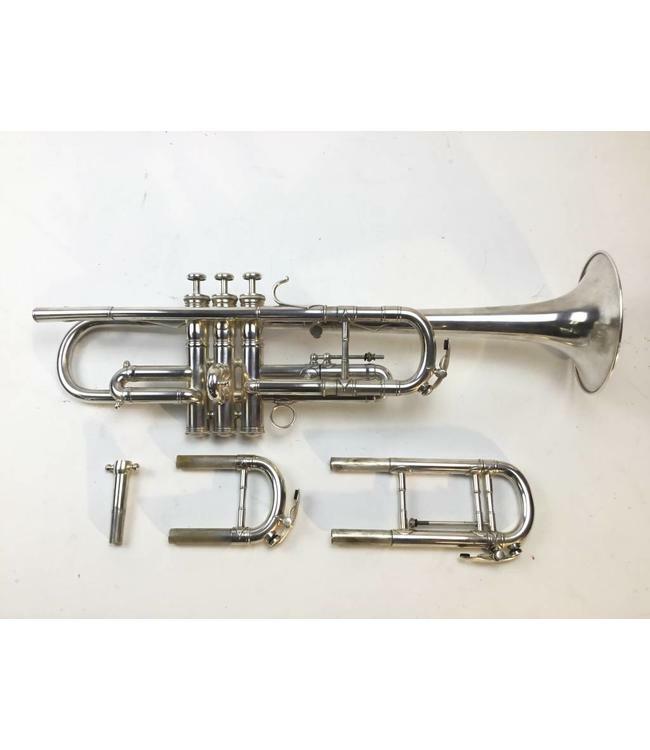 This trumpet is in overall good condition for its age and is extremely rare. Comes with tuning slides for Db, C, and Bb (extends to A). Comes with mouthpiece and original case. This instrument is on consignment and the customer has set the price as the final price.